Rather than deal with a problem, it is best for the problem never to arise in the first place. Few would argue with this simple and often-repeated sentiment, and few would suggest all problems are easy to prevent. The epidemic of drug addiction, particularly opioid addiction, has been ravaging the United States for the better part of several years. No easy solutions exist to lead people to avoid using prescription or street drugs. However, steps can be made to prevent people from becoming involved with drugs. Educational programs and support groups may help with this noble cause. The Los Angeles Police Department (LAPD) has devised a strategic plan intended to cut down on drug abuse in the City of Angels. It is to be hoped that the work done by the LAPD Addiction Prevention Unit can prove inspiring to other law enforcement agencies across the nation. Even a small amount of help toward assisting those dealing with drug or alcohol issues might save lives. Who does this LAPD prevention program actually seek to benefit? The answer may prove surprising. The common assumption is that the LAPD has set up a program to help the public with substance abuse prevention. Police do involve themselves in many community outreach programs. These outreach programs do frequently focus on drug education and prevention. With this unique addition prevention program, things are a bit different. The LAPD Addiction Prevention Unit works at helping police officers avoid falling victim to alcohol and drug problems. Rather than seeking to terminate someone with substance dependence problems, the LAPD tries to help. 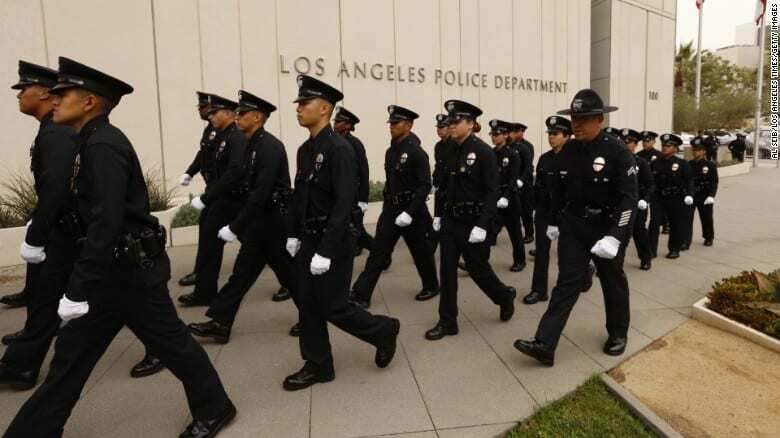 Let’s hope the LAPD’s approach proves inspiring to other police departments as well. Police work has long been referred to as a thankless job. In truth, millions of people thank the police for what they do. Others, sadly, do not realize just how difficult working as a police officer can be. What many people fail to comprehend is the stress level associated with performing the work of a law enforcement officer. Many also do not understand just how consistently the exposure to stress truly is for a cop. Quiet nights become few and far between for many police officers. A police officer may even be required to respond to more than one major crisis per night. That takes a mental toll on the person exposed to such incidents, incidents that could end up being violent ones. As career police officers and detectives note, the life experiences of law enforcement personnel involve seeing human misery to a level few others come into contact with. Crime and accident scenes can leave even a veteran of the police force shaken to the core. Certain images become difficult to dismiss and may lead to post-traumatic stress disorder, or PTSD. Excess stress and the psychological anguish that comes with it might possibly lead to substance abuse problems. Since police personnel may be exposed to tremendously high levels of stress, they become at risk for substance abuse problems. While the public may not accept the possibility of law enforcement agents succumbing to addictions, the problem does manifest among an unfortunate number of police officers. A significant amount of study has gone into the impact of drug and alcohol use by law enforcement professionals. The reports associated with the studies have come back with shocking results. Per The American Journal on Addictions, 18% of male offices and 16% of female officers have suffered serious consequences from using alcohol. That comes out to a truly staggering number of police officers when you take into consideration just how many thousands work in the Los Angeles precincts alone. Once again, stress and anxiety often lurk as the cause of these addictions. The correlation between stress and substance abuse has long since been established by the addiction therapy profession. People under stress might reach for something seemingly capable of altering their less-than-desirable state of mind. As one of the members who runs the LAPD Addiction Prevention Unit noted, officers under a high level of stress may turn to alcohol and drugs as a form of self-medication. Those who suffer from high anxiety are often prescribed anti-anxiety medication in order to calm their nerves. While not everyone may be a believer in prescription psychiatric drug treatment, the medical profession has long established prescription therapy as a viable way to treat stress. With legitimate prescription therapy, a proper diagnosis of a condition occurs and is followed by a written prescription for an appropriate drug in the appropriate daily amount. The patient is monitored and may also undergo special counseling to determine the root cause of the problem. Choosing to self-medicate is hardly the same thing. Opting to drink alcohol in excess or turn to prescription painkillers illegally acquired would not fall under the category of legitimate therapy. Yet, this is what many do to address stress and PTSD. The mind-altering and mood-changing effects of alcohol and drugs become an unreliable means of addressing their current mental state. Self-medicating becomes unreliable because there is no therapeutic benefit that comes from drug or alcohol abuse. The problem likely will get worse. The development of a full-blown addiction brings with it more psychological and physical problems. In short, as difficult as the problem of stress appears, the problem now runs the risk of becoming worse many times over. The stress and the root of stress now become compounded by the inclusion of a substance abuse issue. A person who succumbs to the use of drugs and alcohol for self-medication rarely admits to a problem because he or she sees the rightness of the action. In other words, the person sees his or her behavior as the correct way to address stress. Alcohol calms nerves and helps a person forget about a stressful situation. Since it works, why let a judgmental person tell him or her what is wrong with the behavior? Of course, substance abuse clouds judgment and behavior. Someone who chooses to self-medicate starts with a habit, and the habit expands into a full-blown addiction. This doesn’t occur overnight, but it will occur in time if the proper treatment isn’t undertaken. Substance abuse may occur as a means of dealing with traumatic events. The blanket of abuse covers up the memories and flashbacks associated with the trauma. Police officers see many horrible things over the course of their careers. Haunting images that stick with them might not go away quickly, if at all. So, alcohol and controlled substances become the means to hide the lingering sounds and images. Unfortunately, a trigger effect may occur here. Anything that reminds the afflicted person of the traumatic event could trigger a desire to drink or use drugs. Since the underlying problem is never actually treated, the triggers always remain. Therefore, the problem with drugs and alcohol does not disappear. Stress triggers refer to those incidents, events, and images that may lead to the onset of anxiety, depression, or other psychological and emotional responses. A person who undergoes a triggering event may not even be aware of the connection that exists between the trigger and the mental or sensory response. Consider this another issue associated with the lack of therapy and counseling required to deal with stress. A police officer who suffers from trauma related to injuries inflicted upon children may, for example, suffer from triggers every time he or she passes by a schoolhouse. Since these triggers lead to a stress response, the way to deal with the feelings involves the choice of taking a drink. The triggers continue to fuel alcohol and other substance abuses. The cycle continues and won’t end without some sort of counseling. In the Los Angeles law enforcement world, steps have been taken to try and assist those in need. Stress isn’t the only cause of addictions among those involved with law enforcement. Police work can be quite physical. SWAT team members, in particular, may be required to perform physical duties that can affect the body in many ways. Of course, others who work on normal calls run the risk of suffering from physical injuries. Sadly, problems with opioids and prescription painkiller abuse usually start when people suffer injuries and rely on the prescriptions to address chronic and daily pain. What might start with a legitimate prescription issued by a doctor may lead to increased habitual use and then to a major addiction. Prescriptions such as Oxycontin and Vicodin come with a significant potential for abuse. Those who commence use for legitimate reasons may never become free of the physical and mental hold the drugs eventually impose on them. Such addictions affect people from all walks of life; this includes those who work in law enforcement as the LAPD has clearly acknowledged. The presence of the expanded peer groups shows the department does take the problem seriously. Most importantly, they are trying to help those who are suffering from addictions. The LAPD approach to helping fellow officers deal with alcohol and substance abuse problems commenced in the 1970s. Originally, the program started as a peer counseling group intended to assist those officers who were struggling with addiction. Over time, the peer counseling group would evolve into the official Addiction Prevention Unit of the Los Angeles Police Department. The members who run the program are not only sworn employees of the department; they also possess specialized training and education in addiction and recovery. An example of the training received is visible in a California Alcohol and Drug Counselor (CADC) certification held by one officer. This certainly contributes to their ability to help those fellow officers in need. Of course, police officers dealing with an addiction may be leery about working with a peer group. Concerns did and do exist about privacy matters related to counseling. Clearly, the addiction prevention sessions are not published or released as public information. Cops who venture into these sessions can feel confident that they won’t be stigmatized among other members of the police force. If this were the case, no one would continue the sessions, and the entire prevention program would shut down. If those participating were disappointed with the results of attending, the program’s reputation would suffer, leading to the end result being a major decrease in participation. While the assistance of the addiction prevention system surely would be appreciated by anyone dealing with substance abuse issues, nothing can supplant complete treatment at a drug rehabilitation facility. Whether the care is inpatient or outpatient, the person undergoing the care would be examined and treated by professionals with the experience and background necessary to safely help someone address addiction. Call us today to see how we can help you or your loved one overcome their addiction.